On February 13, 2016 the STARBASE 2.0 team, Robotnauts, will be heading to Casper, Wyoming for the Wyoming State Championship. For the past few months, this team has bee designing and programming a Tetrix robot to compete in this event. The school year has begun! We are currently able to see all school in Laramie County School Districts 1 and 2, St. Mary's, Noah Webster, and some homeschool and Virtual Academy 5th graders - WHEW, over 56 classes. If you are interested in attending, please call us. We have a few open dates for schools outside of the district to do a two day experience. We are excited to offer five different FREE camp experiences for the summer of 2015. Students entering the sixth grade in the fall of 2015 may chose a four half day robotics, computer aided design with 3D printer or rocketry camp. Students entering seventh grade will have the opportunity for four full days of rockets, robots and computer aided design with 3D printer. The flyers for summer camp are attached below. Please note that your child may only sign up for one camp. Registration opens April 20, 2015. These a first come first camps. Space is limited. A 200 word or less essay on why you want to attend camp must accompany your application to be considered. No early applications will be excepted. The STARBASE team is putting the final touches on our summer camp brochures! This year STARBASE will hold two robotics camps, a CAD and a rocket camp for students entering the sixth grade. A special camp, for students entering seventh grade, will include CAD, Robotics and Rocketry. Space is limited. Cost is FREE but each applicant must submit an essay of two hundred words or less on why they would like to attend camp. Check back starting March 23 to see the registration forms. Since this is a first come , first serve camp, applications will not be accepted until 7 AM on April 20, 2015. 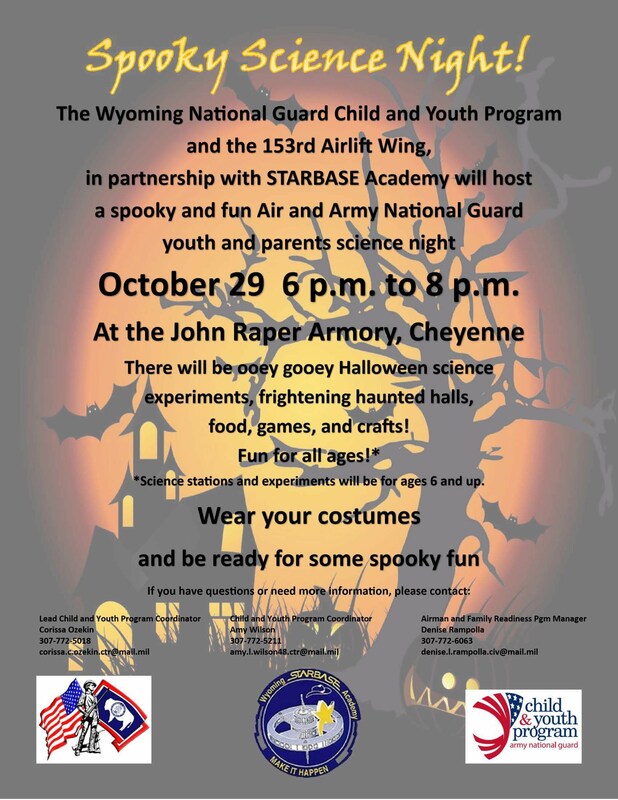 For more information contact crew@starbasewy.org or call 307-777-8191. See the attached file for more information about the March 11, 2014, 5:00 to 6:30 PM STEM night at STARBASE.